1. 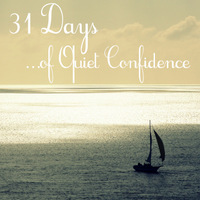 I really didn’t intend to go a full week without a blog post after the 31 Days series ended. But it did sort of wear me out. In regards to writing, I don’t think I have ever been so excited about a topic, but at the same time so utterly in-over-my-head and completely dependent on the Lord and His Word. 2. I wore red striped socks under my boots today. Usually I wear black, but they weren’t clean. Now aren’t you glad you stopped by my blog today? 3. I saw the movie “Tower Heist” with a friend on Friday night. It was pretty much hilarious. In a completely mindless and nonsensical sort of way. Perfect for a late Friday evening sort-of-on-a-whim-after-dinner kind of movie. Have you seen any good movies lately? 4. I serve with the one of the 2-year-old classes at church twice month. After playing “musical rooms” (as the coordinator put it) and sort of filling in wherever needed for the past several weeks, I was back in my regularly scheduled classroom yesterday. Well, I had the most adorable conversation with one of my just turned 3-year-old little guys! It was so sweet, it deserves its own post later this week, so stay tuned. This entry was posted in Life and tagged 5 things, church life, list, movies, random on November 7, 2011 by Emily Gallimore. Disclaimer: in lieu of a new devo thought this week, the below list is a completely subjective reflection of some of my best and/or most meaningful devo thoughts from my archives (in order from oldest to newest). Read two or four (or all ten) by clicking on the titles and then leave a comment with your favorite (even if it’s not on my list…). 1. You Can’t. 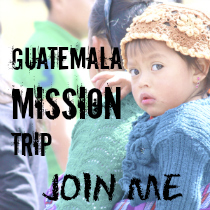 But I Can: summer missions. used-to-be-hotel-room-floors. trust. 2. Be Still and KNOW: God is. 3. No Words Without THE Word: a lakehouse. lack of sleep. scripture. 4. The (not so) Minor Prophets: old testament. exam. book of amos. 5. Creation’s Praise Part 1: praising with creation. just. by. being. 6. A Challenging Question: where are you with the Lord? 7. Love More: deeply. sincerely. intentionally. more. 8. Anchor For My Soul: promises. faithfulness. sovereignty. it is well. 9. It’s Not About Me: but IT IS all about Him. 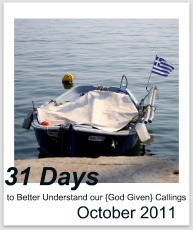 This entry was posted in Devo Thoughts and tagged devotion, list, Scripture on August 19, 2011 by Emily Gallimore. This week, it seems my mind has run on overdrive, my body has run on empty, and my soul has had little room to breathe. 1. Drink coffee. With whipped cream. Just because. 2. Spend the morning at the pool. 3. Bake this banana cake. 4. Spend time in God’s Word (studying Joseph). What is (or was) on your Saturday agenda? This entry was posted in Life and tagged list, saturday, weekend on July 30, 2011 by Emily Gallimore. 1. Koine Greek is taking over my life (again). 3. It’s almost 80 degrees. In February. But that means I can wear flip-flops again without getting funny looks. This entry was posted in Life and tagged 5 things, list, quote, random, Sunday on February 27, 2011 by Emily Gallimore.